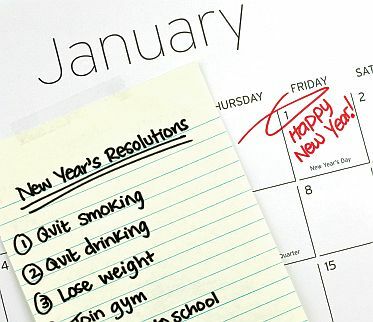 I’m sure you’ve read lots of blog posts and articles about New Year’s Resolutions in the past week or so. Every year, we’re encouraged to use the New Year as a fresh start, as if the calendar rolling over somehow magically transforms us into the person we’ve always wanted to be. I’ve always been curious about that. What makes you think you’ll be any more resolved to actually do any of the big things you plan for yourself just because the calendar says January instead of December today? I think that’s just a recipe for failure (and I bet you have dozens of stories, just like I do, of New Year’s resolutions gone bad to back up my opinion). While these action steps aren’t resolutions in and of themselves, I know they’ll support me in getting what I want by the end of the year (and then some, I’ll bet). If there’s one thing I’ve learned over the past few years, it’s that action is the key. Grand plans and resolutions are great, but if you don’t do anything to bring them about, they rarely happen (and that’s why you find yourself making the same resolutions over and over again every single year). Here are a few direct sales-related action steps you could commit to take on a weekly or monthly basis that, if implemented, WILL change your business in 2013. Pick a few and start moving toward your goals! That’s just a start. Coming up with three or four more should be no problem for you. If you’re not sure what to commit to, ask yourself this question, “If I get to the last day of 2013 and my business is exactly where I want it to be, what will I have accomplished?” Then figure out what small steps it will take to make that giant leap and commit to them. And why not add your suggestions below? I’d love to hear from you!